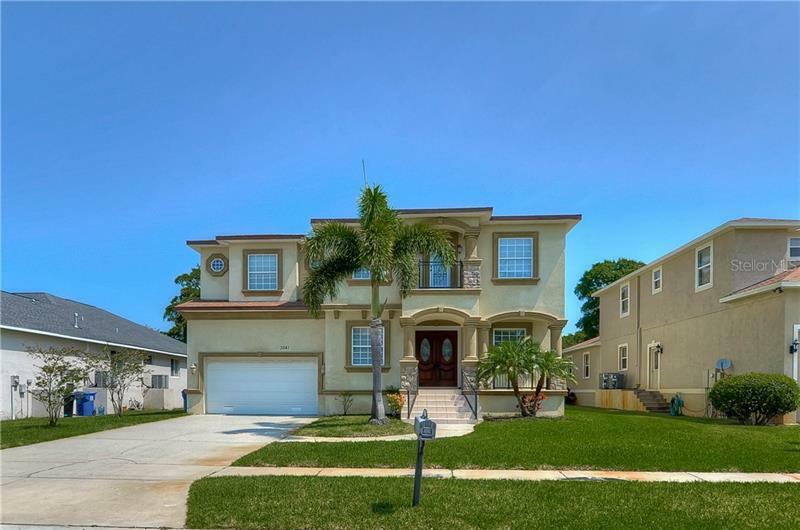 Come take a look at this beautiful move in ready home located in Gulf Harbor Woodland. This home has three large bedrooms as well as two updated bathrooms. All the bedrooms have large closets. The home has a great open floor plan!!! The main living area has exposed beams and a vaulted ceiling. The home also has an enclosed porch perfect for sipping your coffee on a beautiful Florida morning. Did I mention that this is also a water front community!!! The Air conditioner unit is less than a year old. This is the prefect community to live in with such features as a lighted tennis courts, boat ramp, club house and a large community pool. You will also have the option to join the private beach club if you wish. This is an optional yearly charge. The home is located near major highways, as well as public transportation, local restaurants and shopping. A home in this community with all these amenities will not last long!! !